Hey how about this? Governor Christie, wants to bulk up government coffers wider than his girth; wading through the “Live Free of Die State” of New Hampshire he proposes more taxes by taxing the rich. By the way New Hampshire does not tax income, sales or social security. Seems like wind bag punctured his presidential balloon before it rose to political heaven. .
What is upsetting about his robust taxing scheme is that he is a Republican who wants more from Joe taxpayer’s hard earned stash. His plan is to reduce social security payments to those making $80,000 and eliminate the payments on those making $200,000. Don’t forget social security deductions are withheld from earnings after taxes; taxpayers receive no deduction for these payments often called payroll taxes. They are later entitled to their fair share of social security payments; why not? They paid in like anyone else. And to top it off the majority of tax payers pay taxes on their social security benefits when received – in many cases at the top rate of 39.6%; talk about double taxation!. 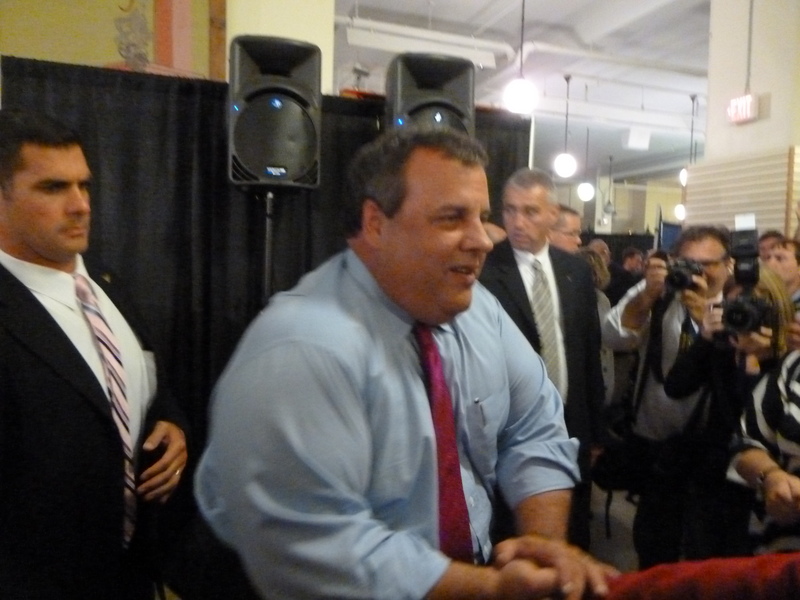 An outside observer with an independent take would ask, why is Christie campaigning at all. His state is in the top three when it comes to bleeding the taxpayer, when New Hampshire is in the bottom three. Christie needs to learn from New Hampshire not the other way around. Hey Governor take the GW back to New Joisy. We suspect that the New Hampshire voters see through the Christie rhetoric and self aggrandization and realize that Christie will do for New Hampshire what he has done for New Jersey – more tax and spend.